SHORT SALE - Very well appointed 3 Bedroom and 2.5 bath Townhouse with beautiful and private pond view and attached two-car garage is in move in ready condition. Upon entering this house from the garage or the foyer, you'll notice the natural sunlight and conservation view through the large double sliders in the living and dining room that open to the enclosed screened porch lanai. The dining and living room have an open concept, with upgraded options such as granite, larger 42 inch cabinets, modern light fixtures, fans, tile and crown molding throughout. 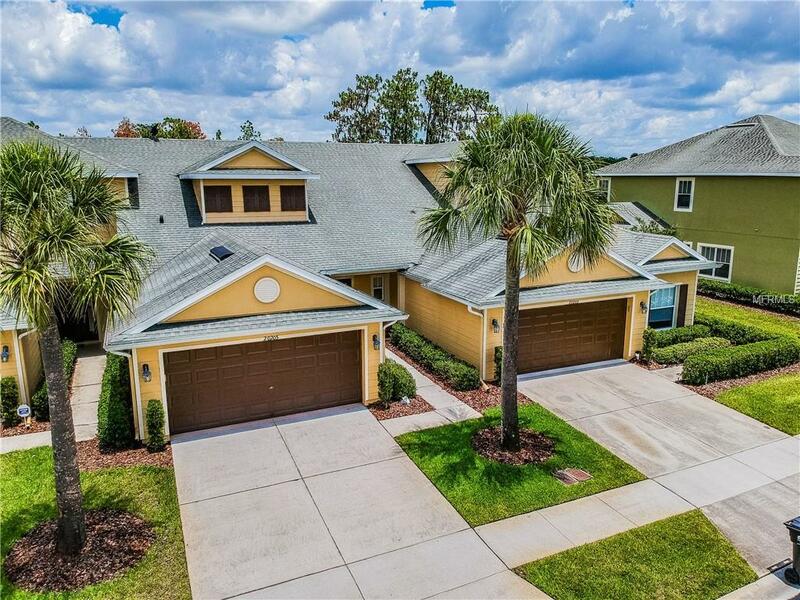 The master is located on the first floor and this home is loaded with upgrades and move in ready.It is located at desirable New Tampa, Hammocks Gated Community. Maintenance Free, just minutes to top rated schools (including USF), dining, highways, shops, and entertainment. Also, this community is a quick trip to the local hospitals such as Florida Hospital Wesley Chapel, USF Medical, VA Hospital, and Moffitt Cancer Center. The community amenities include extended sidewalks with mature trees to walk and jog, a gym, and two pools.